When Amy is born she has barely a curl on her head, but her dad, on the other hand, has a full and fabulous head of hair. Over time both of these things change. Amy helps to search for Dad’s disappearing hair, Dad learns to style Amy’s, and a special bond flourishes between the two. As the years pass Amy’s hair grows longer and longer becoming quite a nuisance, she even has to dry it on the washing line. To keep it in check Dad develops some seriously super hairstyles which Amy becomes renowned for, such as ‘The Ice Cream Cone’ featured on the cover of the book. There is a lovely message of simplicity at the end of the story, Amy is happy and it seems that maybe Dad has found his calling. 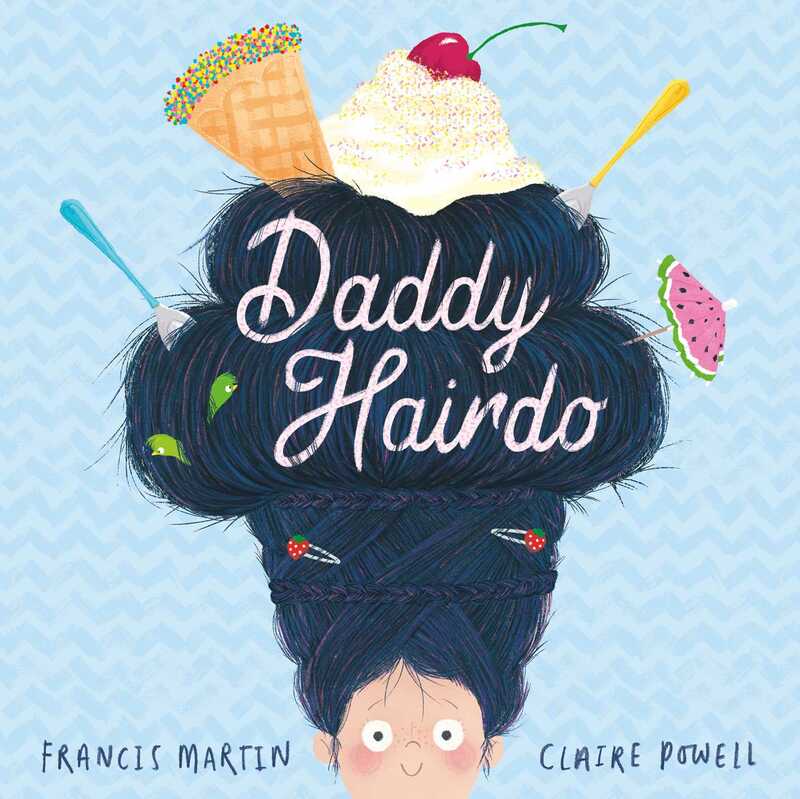 This beautifully finished debut book from Francis Martin flows and is easy to read aloud and share with children. Girls with daddy-daughter hairdo experiences in their lives would especially love it. The illustrations by Claire Powell are gorgeous with a modern feel, and I adore the sparkly foil ice cream sprinkles featured on the front cover.